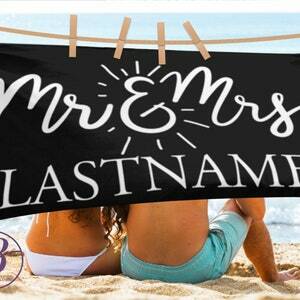 Celebrate your bachelorette weekend, getaway or party with these unique custom beach towel. 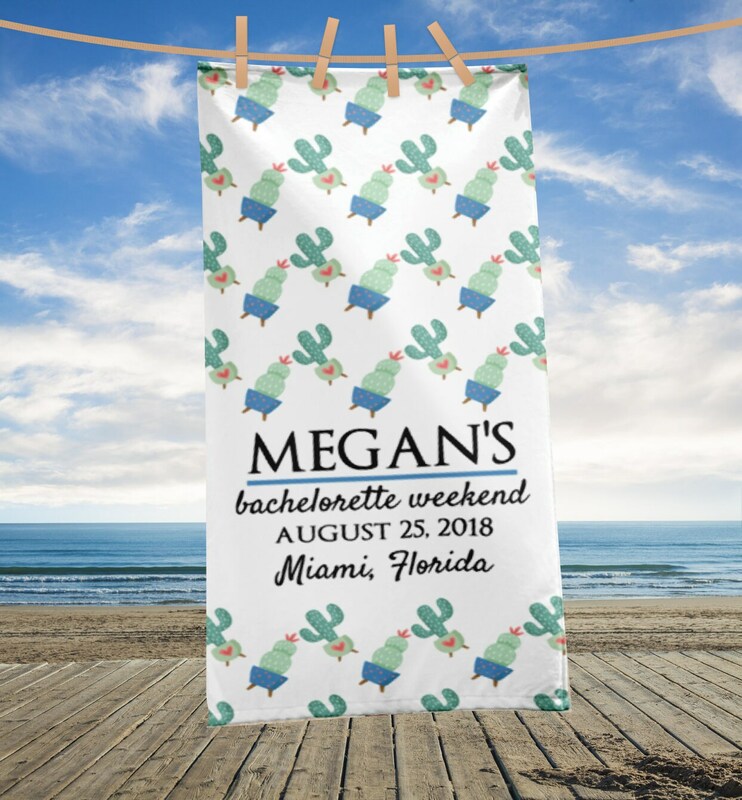 Design features cactus design background with your very own personalized name and other party details. 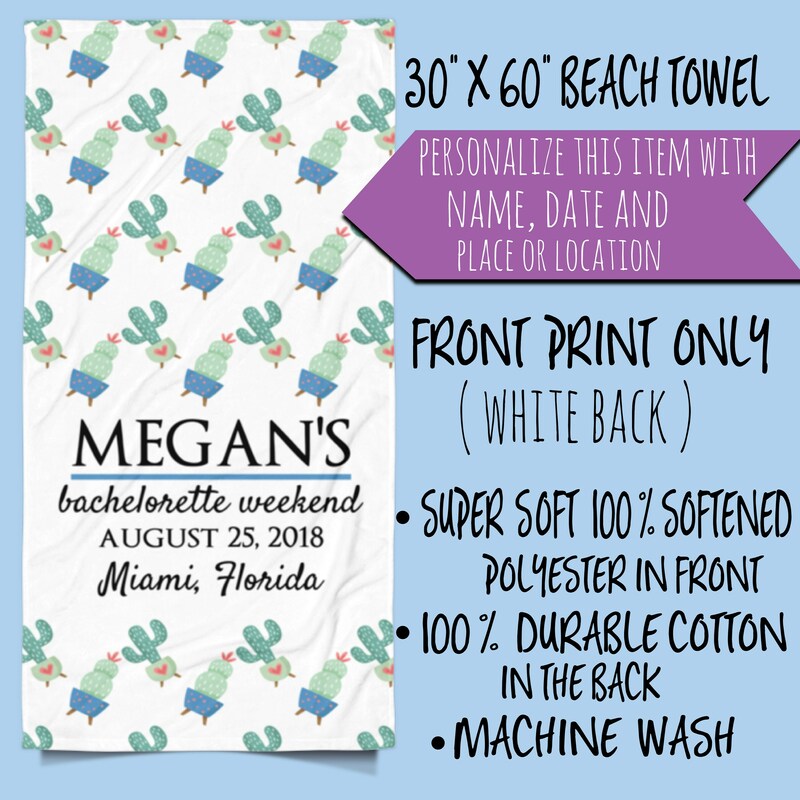 Personalized Bachelorette Weekend Beach Towel, Bachelorette Weekend, Bachelorette Party, Bachelorette Getaway, Bride's Name, Beach Wedding. 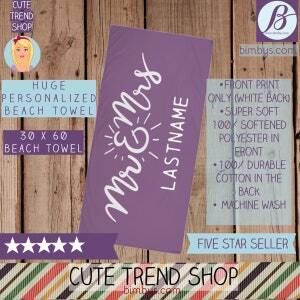 Note: If you want a different event, please state it in your message to seller. 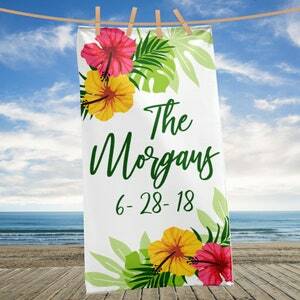 For example: "MEGAN'S Graduation" or "birthday party" etc.